You are here: Home / Our Animals / Chickens / 10 Abnormal Chicken Eggs & What You Need To Know! 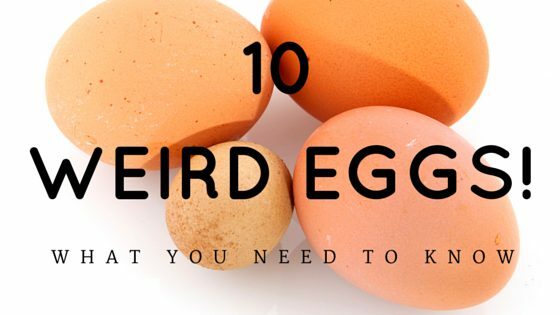 10 Abnormal Chicken Eggs & What You Need To Know! Don’t worry. Usually, abnormal eggs just happen, and although they can mean your chicken is sick or stressed, they aren’t necessarily something to be concerned about. Your chicken is a live animal, and sometimes, just like humans, things go awry without explanation. There’s a few abnormal eggs you’ll likely run into regularly, while others are uncommon (although clearly not unheard of). It’s important not to get too concerned about abnormal chicken eggs – while they can indicate a problem, your best bet is to watch your flock for signs of stress or illness, and remember that sometimes abnormal chicken eggs just happen. With a couple of exceptions, abnormal chicken eggs are still okay to eat (and I tell you which ones aren’t!). READ NEXT: WHAT ARE LASH EGGS? Here’s common abnormal eggs your chicken might lay, and what they mean. It can be unnerving (and kind of cool) the first time you see chicken eggs without their shell. The eggs can be missing the whole shell or just part of it, but the membrane is still intact. Adding the shell is one of the last steps a chicken takes to produce eggs, and sometimes, for a variety of reasons, that step is skipped. In pullets, soft shell eggs sometimes happen with her first egg – the pullet’s system just hasn’t kick started correctly, but it will soon catch up. Sometimes the cause is insufficient calcium, which can happen with a chicken who’s been eating a grower ration that’s lower in calcium than a layer feed. In established layers, there’s a few reasons for abnormal soft shell eggs, including insufficient calcium or protein absorbed, inflammation of the oviduct, or heat stress. Hens also coming back into laying can lay abnormal soft shell eggs. Another reason is if the previous egg stayed too long in your chicken’s shell gland, causing the soft shell egg to be laid too soon. If the soft shell chicken eggs remain unbroken until I find them, I usually feed them to the pigs or throw them on the compost pile. Although they might be okay, I’m personally not comfortable eating them because I don’t know what kind of nasties have passed through the membrane. Among the most disturbing of abnormal chicken eggs to see is a lash egg. Lash eggs aren’t actually eggs, but rather the result of an infection called Salpingitis – an infection and inflammation of the oviduct. Lash eggs are generally shaped like eggs, since they still travel through the oviduct. Lash eggs are the accumulation of pus, egg material, and possibly tissue laid by the hen. It can be soft or hard, and is comprised of layers of the shed material. While some chicken keepers ring the death knell if they have a chicken that lays abnormal eggs like lash eggs, the bottom line is it’s an infection – consult your vet to see if it can be treated. 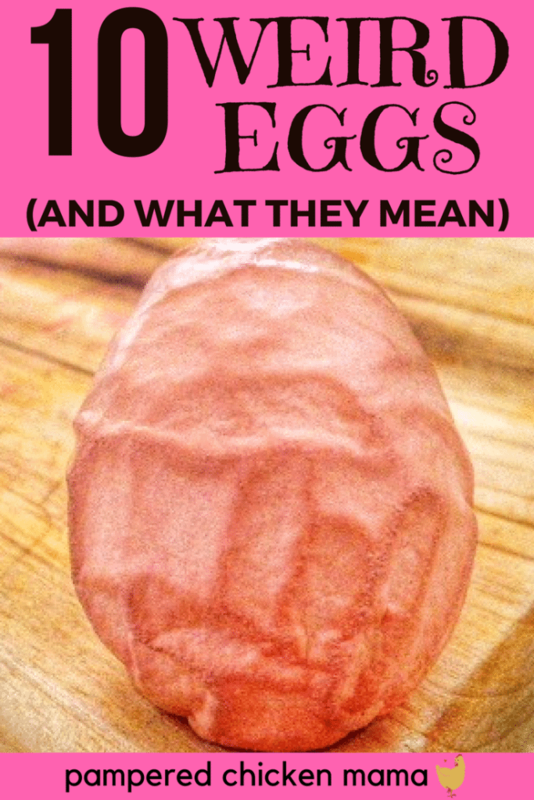 You’d be crazy to eat a lash egg. “I forgot to change the toner cartridge” is a common joke when a chicken owner comes across an egg that’s not uniformly colored. Eggs not uniformly colored are normal eggs that just have a funny pigmentation that day – it’s a minor flaw. 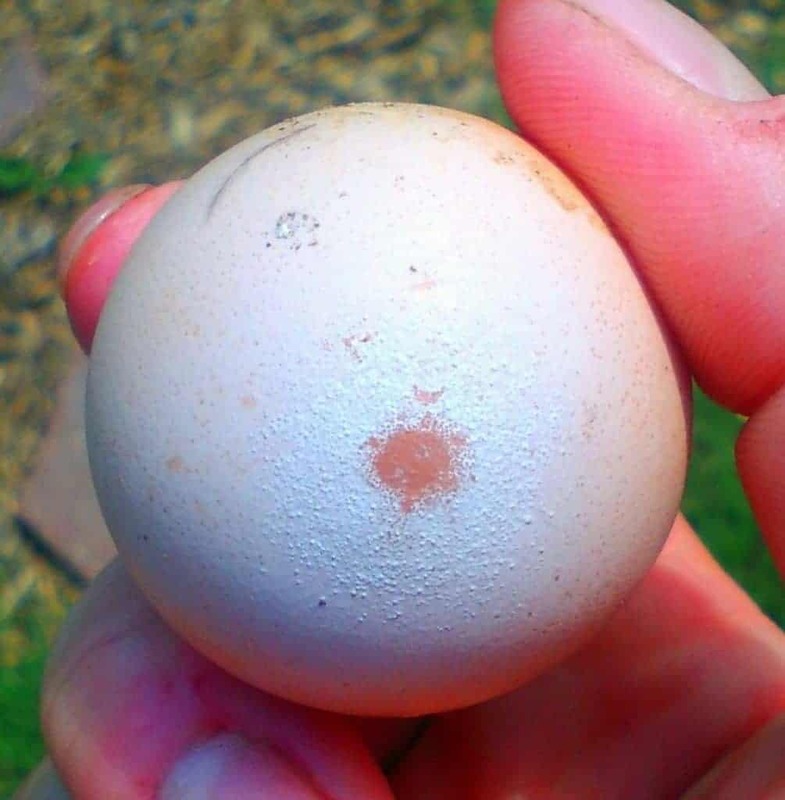 Abnormal chicken eggs like this is are usually caused by some sort of stress, such as heat stress. The hen is working overtime to keep her body cool – which means she has less energy to put into making eggs. Poor nutrition or a viral infection are other potential causes. I’ve never had an issue eating chicken eggs with incomplete pigmentation. Bumps on your chicken eggs are calcium deposits – they can range from minor to large deposits, and they’re generally white. The most common cause is excess calcium in your hen’s diet – check to see if she’s somehow getting too much calcium. Other causes are defective shell glands or stress during the calcification process. I’ve eaten these eggs without any issues. Lovingly referred to as fart eggs, rooster eggs or fairy eggs, very small eggs typically are missing the yolk. They’re cute to find, but don’t yield very much in the way of food. Young pullets might produce fairy eggs when they first start laying – their reproductive system is just trying to catch up. I’ve also had hens lay fairy eggs when under stress, notably with one hen that had been savaged by a rooster. Her reproductive cycle might have been disturbed by the stress, or her body might not have been able to produce a real egg because it was putting its energy into healing her body. Fairy eggs can also be laid when a foreign mass (such as a piece of tissue) triggers the hen’s system to produce an egg. I’ve never had a problem eating fairy eggs. Double yolkers are always exciting abnormal chicken eggs to find – they will have two yolks in one egg. Double yolks happen when the hen releases two eggs into the oviduct, and both of those eggs are included in shell. Double yolk eggs generally are larger which can be a cause for concern if it’s too large for your hen to pass – causing her to become egg bound or suffer a vent prolapse. Although they put stress on a hen’s body, double yolks are becoming so desirable that industrial farmers have bred hens that will only produce double yolked eggs in Europe. Generally speaking, there’s nothing wrong with a chicken that lays double yolked eggs – it’s just abnormal. You can incubate it, and there are stories of twin chicks successfully hatching, although it’s rare. 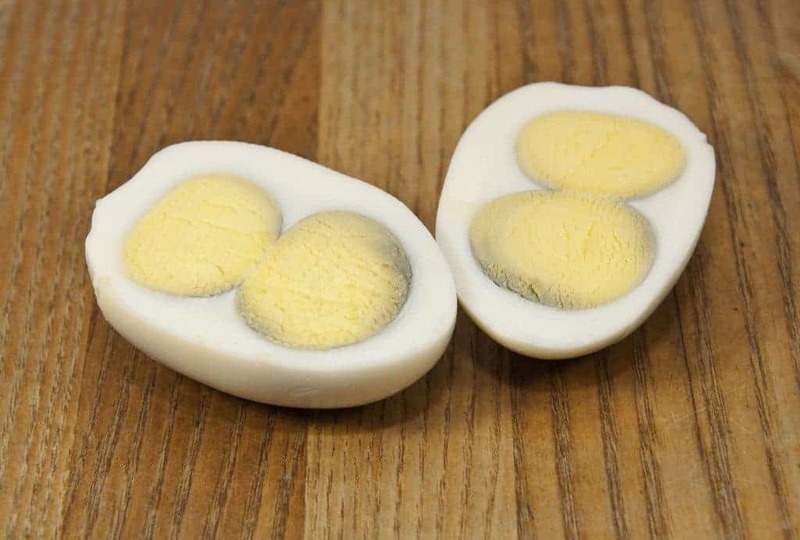 People eat double yolked eggs daily. READ NEXT: SHOULD YOU LET YOUR CHICKENS FREE RANGE? White banded eggs occur when two eggs enter the oviduct, thereby making contact with each other in the shell gland pouch. When the hen is forming the shell of the first egg, the normal calcification process is interrupted, so it gets an extra layer of calcium – which is the white band marking. 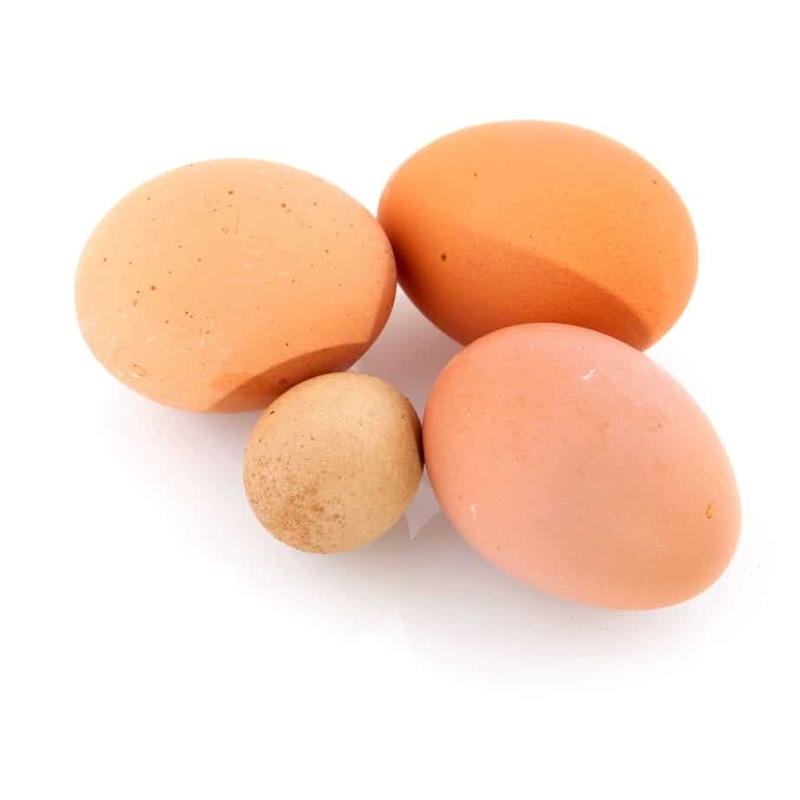 Causes for abnormal chicken eggs such as white banded eggs can be something simple, such as flock stress or something more serious such as an infection. Like always, your best bet is to watch your flock for abnormal behavior. I’ve never had a problem eating white banded eggs. The fancy name for an egg inside an egg is counter-peristalsis contraction, but in every day terms, they’re eggs that somehow found themselves inside another egg. It’s not common, but it does happen. It occurs when a hen releases a second egg into the oviduct before the first egg has completed the laying process. This causes the first egg to reverse in the oviduct, which is then added to the second egg. The two then have a second albumen and shell form encasing both eggs. Although I’ve not personally dealt with eggs inside eggs, I’ve read reports that they’re perfectly fine to eat. Speckled eggs are pretty normal, as far as abnormal chicken eggs go. They look pretty, and it’s wonderful how unique eggs can be. The speckles are actually extra calcium deposits, and are formed when the calcification process is disturbed or there’s a defective shell gland. They can also be caused by an excess of calcium. Although technically abnormal eggs, National Geographic studied eggs, and found that speckled eggs might be a way to make shells stronger – so your chicken might be on to something. I’ve never had a problem eating a speckled egg – they just look abnormal. Odd shaped eggs are pretty self explanatory – they’re abnormal chicken eggs that aren’t uniformly shaped all the way around. They might have an abnormal look, like a bulge on one side, or a very pointy end, or just look lumpy. Odd shaped eggs can occur if there’s some sort of abnormal disturbance in the egg forming process, or if your chicken experiences some sort of stress such as over crowding. Age also makes a difference – it can occur in very old or very young hens. In rare cases, respiratory diseases can cause abnormal eggs. 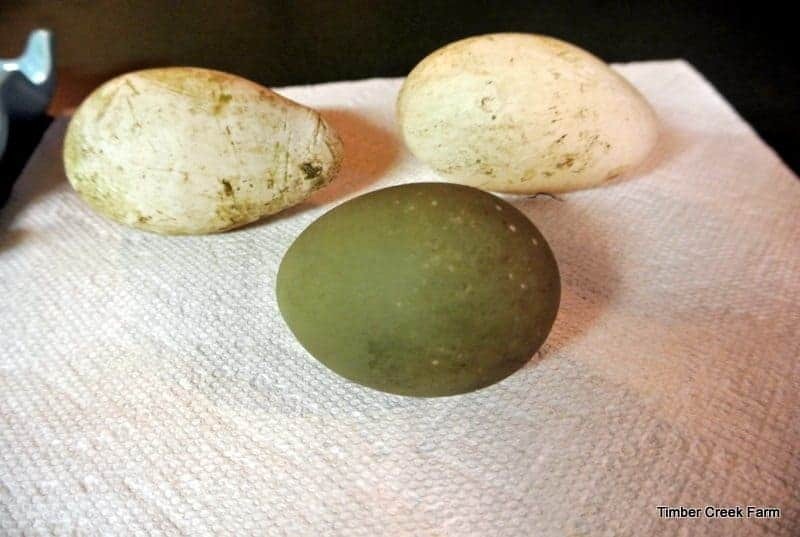 I had a reader tell me her hen always lays odd shaped eggs – in this case, I would venture to say that since the hen lays consistently, it’s likely a structural issue internally. I’ve not personally had any issues eating abnormal shaped chicken eggs. 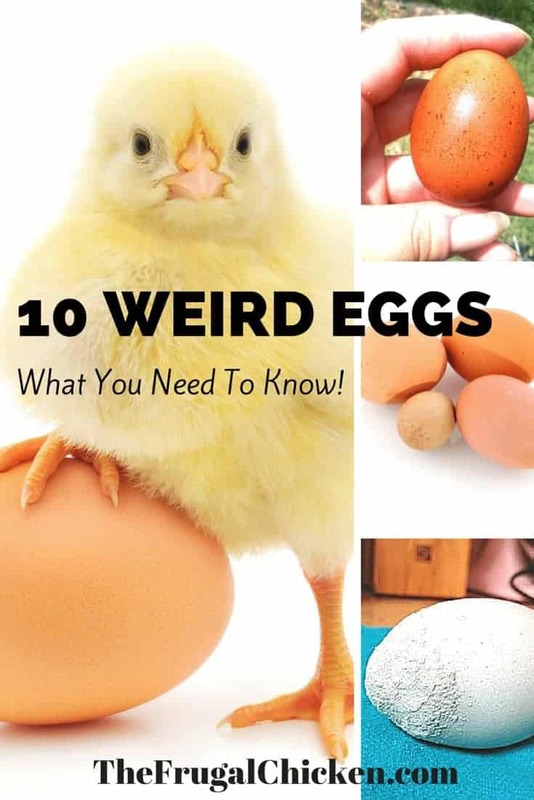 While this list of isn’t comprehensive, I’ve touched on the 10 most common occurrences of abnormal chicken eggs. Hopefully you find it useful! 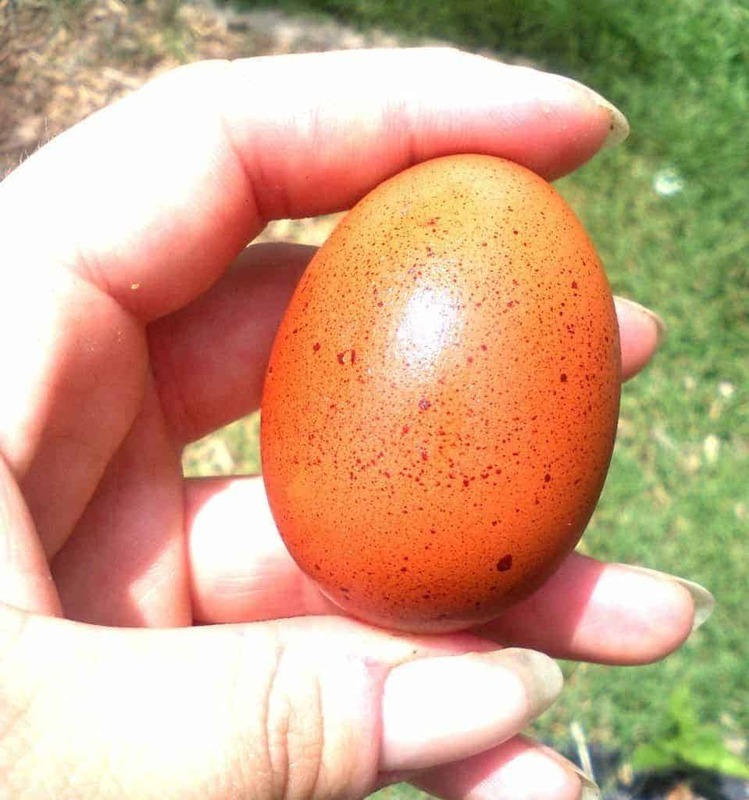 Have you ever gotten an abnormal chicken egg? What did it look like? Email me at editor@thefrugalchicken.com or comment below! What To Feed Your Chicken For Great Tasting Eggs! Hi! So glad to have found your site! I have 7 hens (5 are a little over a year old and 2 were born in January of this year). All is going fairly well…a bit of ‘pecking order’ stuff but overall they are getting along. My question is re. my 1 year old Black Australorpe. She started laying on schedule with the others and laid fairly frequently last summer. She had a couple of ‘fairy eggs’ but laid nice large brown eggs regularly. She has not started laying again this year…had one soft shelled egg that I am pretty sure came from her. She appears to be healthy, eats well and goes in the nesting box but has not laid. The other girls started back laying in February. Is there anything I can do or is she just not going to lay? Thanks! Hi, how old is she? What are you feeding? can there still be a chick inside a soft shell egg. Hi! Thank you for the very informative read! Just encountered a small, soft membranous egg-shaped thing inside an egg when cracked open. Any idea what’s that? Hi, a few years ago I found a large egg and didn’t think much of it as we had several before but when I cracked it open it was full of corn.Unfortunately I didn’t think to take a photo but i remember my mum saying that her dad had had an egg with a small piece of string in it,their hens used to scratch about in the farmyard. Any person I have told this to looks at me like I am crazy and I have never found an explanation as to how this could have happened. 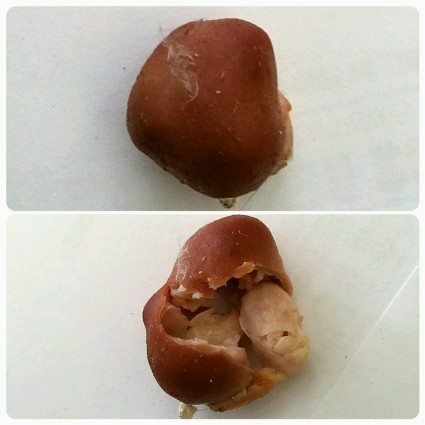 Cleaning the coop, I found a 1/2″ diameter egg shaped like a kidney. Probably about 2 1/2″ in length. No yolk and not sure who laid it. We previously had two fairy eggs in the nesting box, so I’m wondering if it’s from the same girl. I this same time frame, we also lost one of our fave girls to an impacted crop. I was wondering if this is stress related, could that be the cause. Yes, fairy eggs can be stress related. Two months ago one of my hens was severely attacked by a neighbors dog. My hen ended up with stitches and an antibiotic. She has healed beautifully but has now laid three fairy eggs complete with yolks. She is an Americana. Her eggs look like a robins egg. About one egg every week or two. Today she acted like she needed to lay one and sat kooing and clucking for a long time but to no avail. I’m hoping in the spring maybe she will lay normal eggs again. If not. No matter. She is a sweet hen. :). Thank you for the info on eggs! I have 4 hens and one of my hens who has been laying for about a year now has started laying a very oblong egg. Shell is good and you would think it would be a double yoke but is just one yoke and a lot of whites. Also When I cook them it seems like the yoke separates from the white. Should I be concerned? I had a hen stop laying for almost 6 months. When she started laying again her eggs had calcium spots and there is a line of damage to the shell that is about 2 inches long and goes at an angle across her egg. The line is almost pitted but doesn’t go through the shell. Obviously something is scraping the egg as it’s coming out, and I was wondering if she has something wrong. One thing I didn’t completely agree with. I used to work in an industrial chicken hatchery. It was common to have hundreds of double yoke eggs to incubate and hatch. The result is always siamese twins with only one chick alive having 4 legs, 4 wings, two faces, etc.